Innovation is attractive, especially to VCs looking to invest in tech startups. If your novel idea promises to build the future on tech, investors are likely to have you on the radar. In other words, the greater the disruption you can create, the more capital you can raise. This is especially true if your innovation guarantees to solve a glaring problem of a sizeable target market. One of the key components of selling an idea to possible investors is how you package your leading-edge product. Does your product’s branding match the level of its core innovation? The answer should be a yes if you are serious about the success of your idea. Here’s a look at 10 such startups across verticals that have chosen .TECH domains to be their address on the Internet. TenX is a Singapore-based blockchain company that makes cryptocurrencies instantly spendable anytime, anywhere. TenX helps its customers gain more control over their cryptocurrencies via their app (available on iOS and Android). It lets users hold, send and receive popular cryptocurrencies such as Bitcoin, Ethereum, and Litecoin conveniently. TenX is building the future of crypto spending on a .TECH domain. A Palo Alto startup, Aurora works at the intersection of rigorous engineering and applied machine learning to create the most efficient and advanced mobility solutions. Aurora designs the software and hardware that will focus on powering the next revolution in transportation. Aurora is building the future of transportation on a .TECH domain. Innoviz, a tech startup from Israel, is a leading provider of cutting-edge Light Detection and Ranging (LiDAR) remote sensing solutions to enable the mass commercialization of autonomous vehicles. The product, which is called InnovizPro™, offers an unrivaled angular resolution at the highest frame rate of any LiDAR solution currently on the market. The company’s automotive-grade LiDAR offering a comprehensive mass-market solution, InnovizOne™, will be available in 2019. Innoviz is building the future of autonomous vehicles on a .TECH domain. Get your .TECH domain NOW! A product by Paris based Blade Group, Shadow is a high-performance PC which is entirely in the Cloud. This ground-breaking service provides access to a fully featured high-end Windows 10 computer via any internet-enabled device, including a laptop, tablet, and smartphone. Free from hardware failures due to their highly secure and local data centers, Shadow puts an end to obsolete devices, thanks to regular, no-cost updates of cutting-edge components. Shadow is building the future of automated hardware on a .TECH domain. NAVYA is a French company that develops innovative, smart and sustainable mobility solutions. A pioneer and specialist in the autonomous vehicle market, NAVYA assists cities and private sites around the world in improving their transport ecosystem with its autonomous, driverless and electric solutions. NAVYA’s multidisciplinary team of experts is focused on offering new mobility solutions that are more intelligent than the available solutions, thereby taking part in the sustainable transformation of everyday life. NAVYA is building the future of mobility on a .TECH domain. Headquartered in San Mateo, CA, Brilliant creates technology that makes it fun and easy to interact directly with your home. Their first product, the Brilliant Control, replaces an existing light switch to give touch and voice access to lighting, music, climate and other smart home products. Brilliant is building the future of smart homes on a .TECH domain. Based in Washington state, BlueDot is a startup that gives shape to agriculture, health-care and energy businesses from federal research. Each year, the U.S. government spends $500 billion funding scientific research and BlueDot is focused on commercializing these innovations. BlueDot identifies the most promising technological innovations at NASA & national labs and supercharges them with great entrepreneurs to tackle humanity’s grand challenges. BlueDot is building the future of technological innovations based on space research on a .TECH domain. Based in London, Decision Tech’s mission is to create destination websites that help connect people with the very best products and services. The startup offers cutting-edge data technology that allows businesses to make accurate predictions about retail and purchasing trends. In other words, Decision Tech does all the valuable ‘homework’ that one needs to dive into before buying or contracting any tech products or services. Decision Tech is building the future of data prediction on a .TECH domain. Alpha Fintech is a Dublin based startup that has developed the world’s first omnichannel solution access that consolidates the entire payments, risk and transaction ecosystem in a single place, the AlphaHub. It is the first end-to-end middleware, connecting the merchant buyer and vendor supplier across the entire payments, risk, and commerce spectrum through a single API and UI. Alpha Fintech is building the future of payments ecosystem on a .TECH domain. A Cambridge based startup, PragmatIC is a world leader in ultra low cost flexible electronics, enabling the potential for trillions of “smart objects” that can sense and communicate with their environment. PragmatIC’s unique technology platform delivers flexible integrated circuits (FlexICs) thinner than a human hair that can easily be embedded into everyday objects. Their product FlexLogIC™ is a fab-in-a-box system that enables fast, cost-effective and scalable distributed production. PragmatIC is building the future of flexible electronics on a .TECH domain. These are just some of the many funded startups that have raised over $500M in capital. Each of these startups are at the forefront of tech and branding innovation, which is reflected in their .TECH domain. Their ideas are based on the evolution of future and their online branding denotes their commitment to the same. 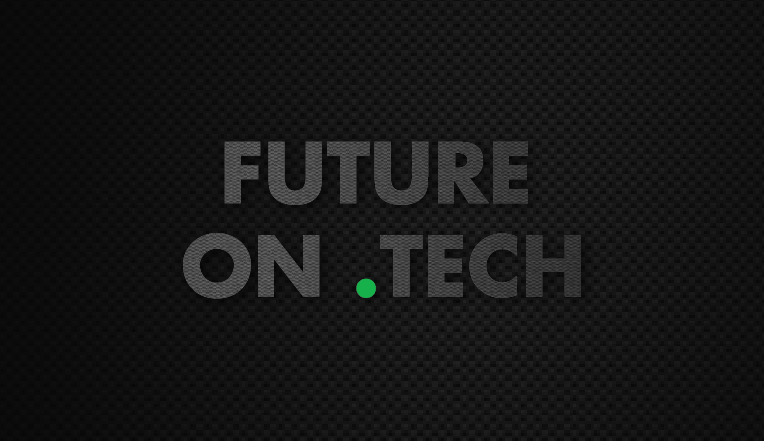 future with your tech startup? Get your startup domain on .TECH NOW!